The valve disc is covered with EPDM which is to avoid water leakage when the disc is closed. The segmented plug is out of the flow path, and it rotates 90o and makes contact with body. This is in the open position. In overhead drainage system, the plug valve should be in full open/close position without regulating flow. Therefore, the plug should face the exist port and install. It ensures open/close is smoothly. This is applied for sewage pipeline, sewage treatment plant. The valve has a special feature that can generate turbulent flow during the operation. In which can avoid silting up, and keep the flowing area above 80%. 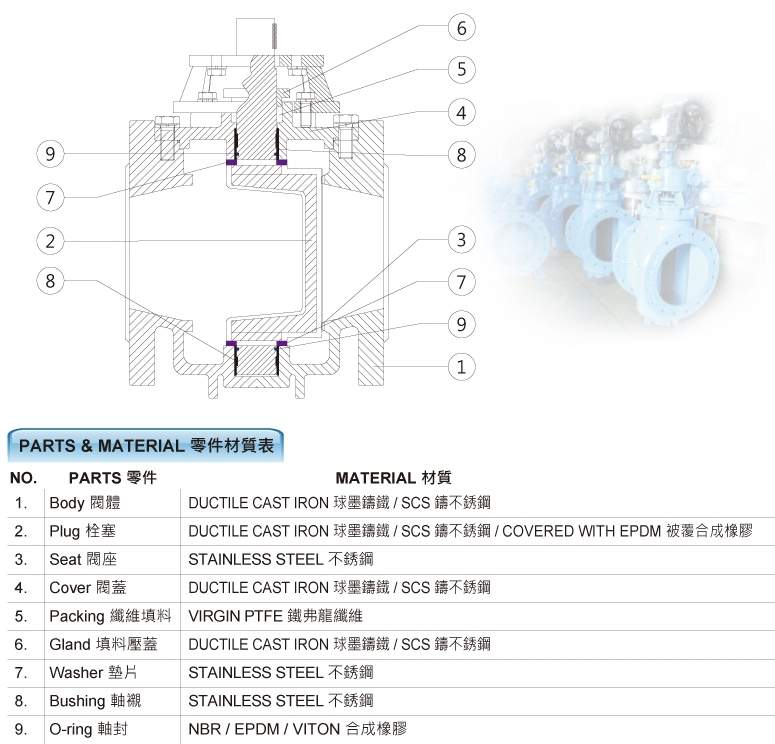 The design of the valve makes the operation easier, also increases the valve’s durability. The shaft packing is adjustable and changeable on site without disassembling valve. Depending on users’ need, the valve can be operated through handle operation, worm gear operation, or actuator operation.